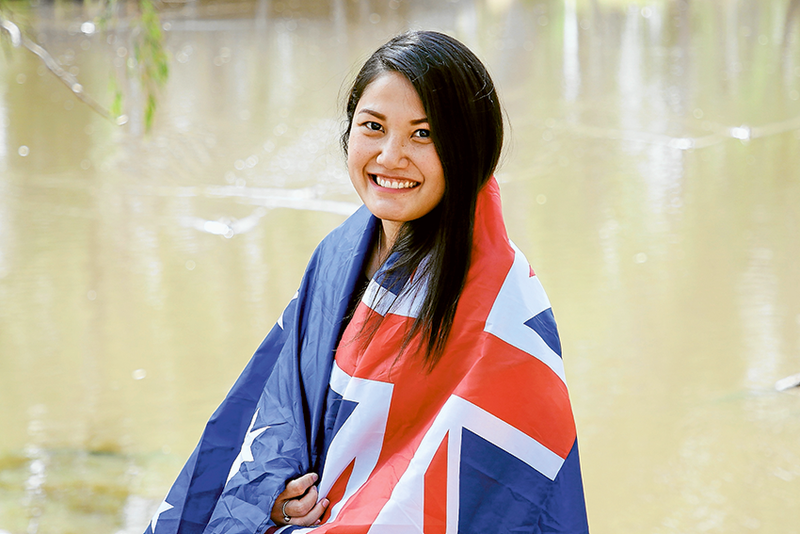 AUSTRALIANS ALL LET US REJOICE… Echuca resident, Chanya Haddon is one of 13 Campaspe Shire residents and 50 Greater Shepparton residents to be sworn in as Australian Citizens on Australia Day this year. Photo: Katelyn Morse. IN JUST three days, 50 Greater Shepparton residents and 13 Campaspe Shire residents will be accepting their Australian Citizenship and celebrating alongside this year’s award recipients on Australia Day, as Shepparton celebrates 70 years of citizenship ceremonies and Australia Day Award presentations. Coincidentally, in its 70th year, 70 nominations were sent through for Australia Day Awards in Greater Shepparton. Celebrations will ring out across the region on Saturday, January 26, with events held in Shepparton, Arcadia, Dookie, Mooroopna, Murchison, Tatura and Toolamba. In Campaspe, events will be held in Echuca, Girgarre, Gunbower, Koyuga, Kyabram, Kyvalley, Lockington, Milloo, Rochester, Rushworth, Stanhope, Tongala, Toolleen and Wyuna. 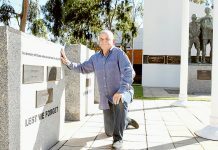 Celebrations feature flag raising ceremonies, guest speakers, Australia Day Ambassadors, entertainment and the presentation of the 2019 Australia Day Awards. “I encourage all residents to take pride in their country on January 26 and reflect on who we are as a nation. There will be a free barbeque and multicultural brunch available along with musical entertainment and children’s activities. Attendees will be able to enjoy a barbeque breakfast followed by the presentation of Australia Day awards presented by special guest, Sara Niglia. When: 8:30am Guests will be able to enjoy a free breakfast held in the morning before the presentation of the Australia Day Awards commences, which will then be followed by morning tea will to conclude the ceremony. Australia Day awards will be presented followed by a free barbeque at the end of the proceedings. Flag raising ceremony, presentation of awards, music and a barbeque breakfast. There will be a community breakfast before the flag raising ceremony and morning tea. There will be a flag raising ceremony, sausage sizzle, annual yabby races, indoor and outdoor games followed by supper. There will be a flag raising ceremony, barbeque breakfast and presentation of awards. There will be a community ceremony, barbeque lunch, entertainment and the pool will be open to the public. There will be breakfast, flag raising ceremony, a guest speaker and kids fishing competition at the channel. There will be dinner followed by a guest speaker. There will be a barbeque breakfast, flag raising ceremony and presentation of awards. With the theme ‘community volunteers’ there will be a sausage sizzle and presentation of awards. There will be a flag raising ceremony, entertainment, presentation of awards and morning tea. There will be a flag raising ceremony, presentation of awards, sing-a-long and barbeque lunch. There will be a luncheon and entertainment by the Rushworth Band. There will be a community barbeque, flag raising ceremony and a guest speaker.